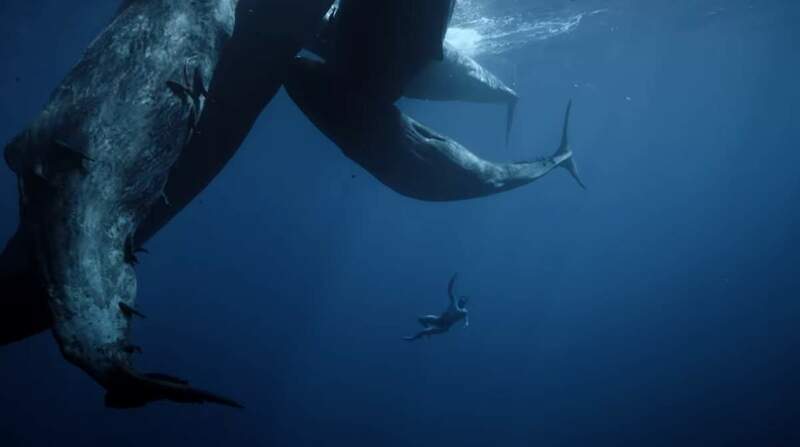 Dancing with the whales – amazing freediving video! French freediving champion Guillaume Néry, and his wife, the French freediver, underwater filmmaker and dancer Julie Gautier published an amazing video titled “One breath around the world”. In the video, Néry plunges into the ocean’s hidden depths, revealing remarkable views of marine geology and wildlife, without the aid of supplied air. There are many amazing scenes like “dancing with the whales”. Seamlessly transitioning between a range of underwater realms, the video gives the impression that Néry’s journey is taken in a single breath.